BlackBerry Torch 9800 is the latest model of BlackBerry till now. It was released in August 2010, and it is still very hot now. Even there were some critics for Torch; the BlackBerry Torch 9800 was still marketed as 'the best BlackBerry ever'. Then, let's see some analyses about the best BlackBerry. BlackBerry Torch is the smartphone with 5MP camera; it is the first one and only one contains the 5MP camera of BlackBerry till now. 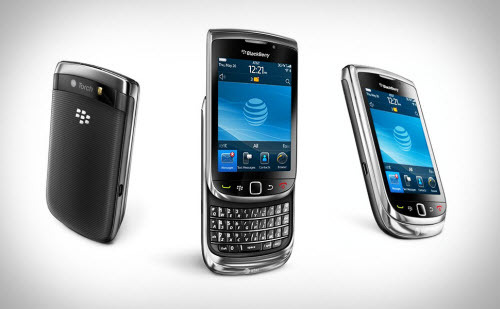 The BlackBerry Torch 9800 contains a 3.2 inches multi-touch screen display with the 480*360 pixels resolution as BlackBerry Storm. The BlackBerry 9800 also contains a physical QWERTY keyboard as the classic BlackBerry models. And the BlackBerry Torch combined the touch screen and QWERTY keyboard together to be a slider. Besides, out of the traditional enterprise functionality, the Torch 9800 also contains powerful multimedia functions as BlackBerry Pearl. In conclusion, BlackBerry Torch 9800 is a mixed model which combined all advantages of BlackBerry phones. Even the BlackBerry Torch was regarded as the best BlackBerry, compared with other models, it seems nothing excellent. The biggest screen size in BlackBerry family is till smaller than Nokia N8’s display - 3.5 inches; the resolution is much less than iPhone - 960*640; the browser and supported apps are still less than Nokia and iPhone; the gaming quality cannot be compared with coming PSP phone... Then, what else left? Nothing excellent but it still placed 6th place on Wirefly's annual top ten selling smart phones list for 2010. The BlackBerry Torch was not just focus on one one-sided, it emphasize the comprehensive development. Then it could give users a comprehensive experience, and that's also what users want. Out of all features above all, there are still some reason for its popular. The outlook is cute and the design is well - the lines are nice and feel good in hands. The price may also be one reason - after contract, the price of BlackBerry Torch is just about $200. That's much cheaper than other high-end models and attractive. It also meets the requirement of most internet users... All in all, the success of BlackBerry Torch is not an accident; by considering all features of the phone, it's really the 'best BlackBerry' ever. 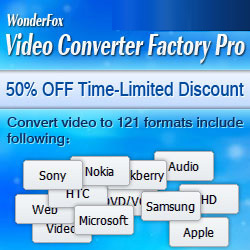 BlackBerry Video Converter Factory Pro; it is the professional and powerful conversion software for BlackBerry phones. The converter provides fast conversion speed with good image and allows users to adjust the resolution, frame rate and video/audio bit rate. And all advanced functions (merge, clip, crop and effect) are available for users.